Now that I have your attention with delicious, juicy and flavorful tacos (can tacos be juicy you ask? Oh, just wait until you try this salsa…), I have some bad news. Not bad, exactly, just… different. This recipe is ONLY available to my social media followers, so if you’d like to get your hands on these tacos, head over and follow me on Instagram or Facebook (or, you know, both?) and grab the recipe! But wait! Before you go, scroll down for a chance to win a year’s supply of Love Beets and Organic Girl products! 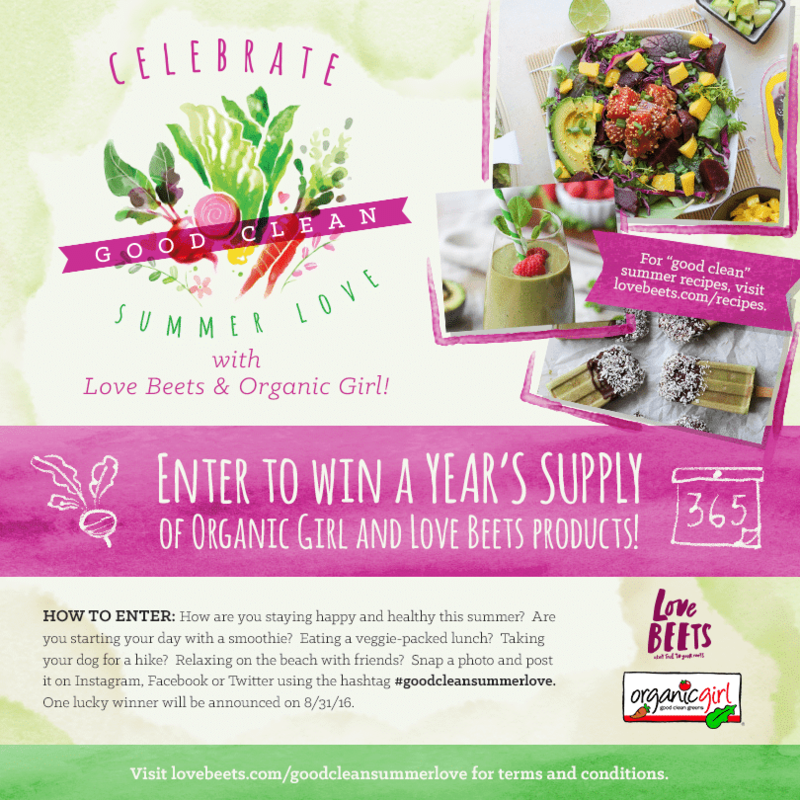 You could win a year’s supply of Love Beets and Organicgirl products just by snapping a photo! Share a picture of how you’re staying happy and healthy this summer, and share it on Facebook, Instagram or Twitter using the hashtag #goodcleansummerlove. One lucky winner will be announced by the end of August! Ok now you can head over to Instagram or Facebook and grab the recipe for these fish tacos! Thanks to Love Beets and Organic Girl for sponsoring this post! Beautiful! 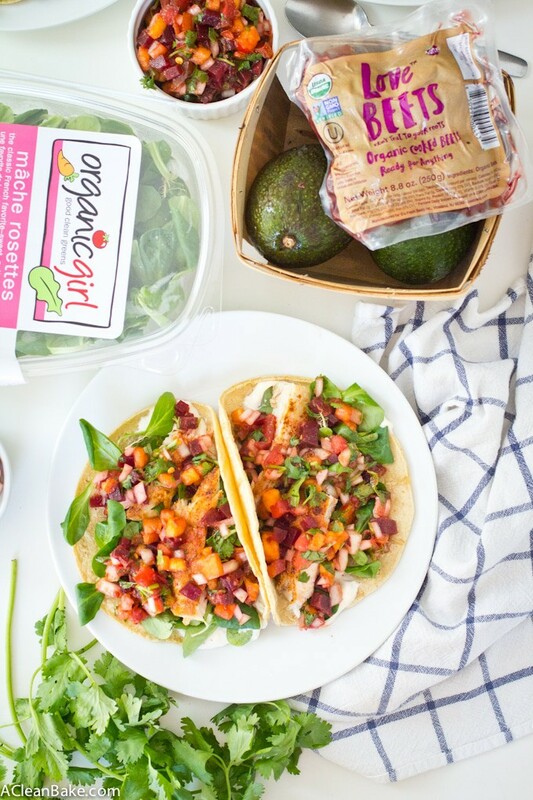 These tacos look so vibrant and healthful! 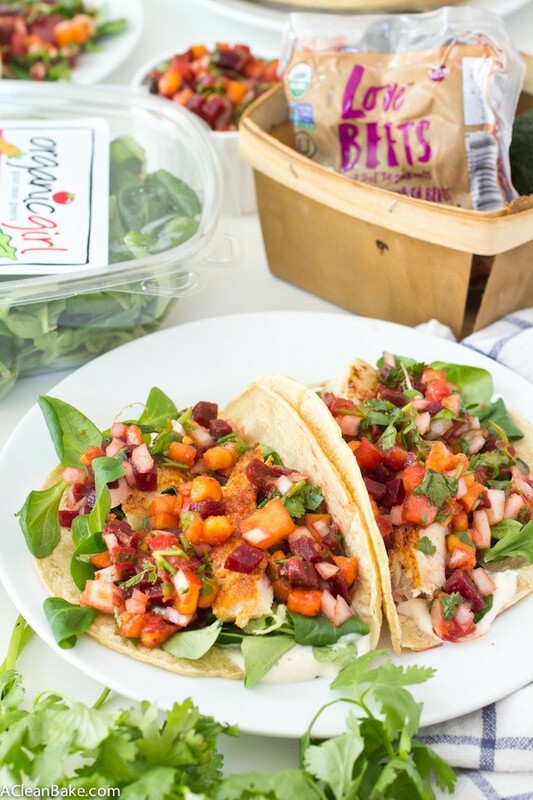 I’m loving the flavorful fish with the crunchy greens and that amazing salsa! Bravo, love!